You will arrive on 11th October to meet the other team members and settle into your accommodation for the night. 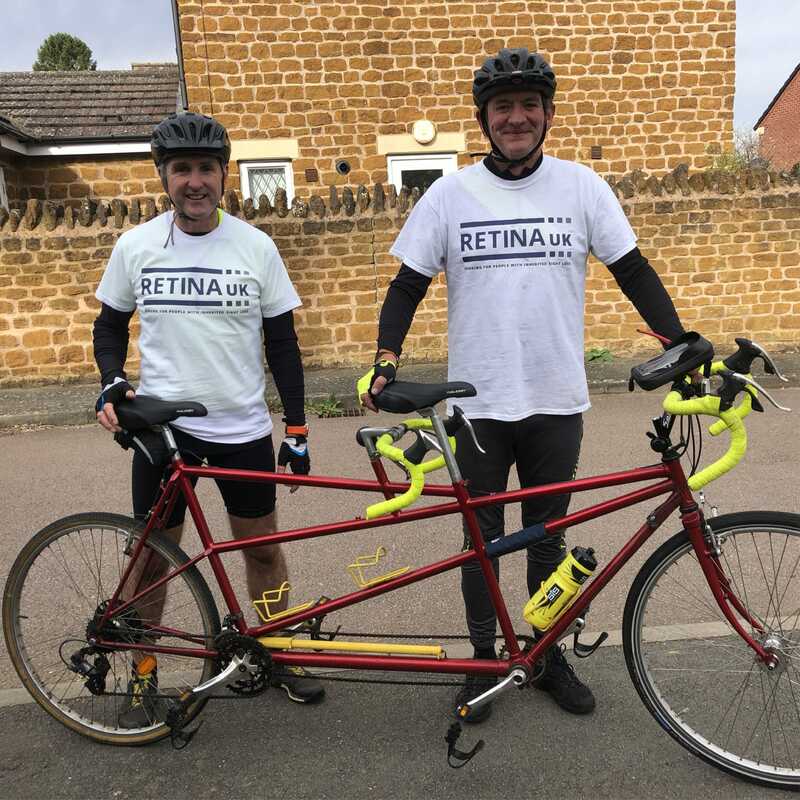 The next morning you and your bikes will be transported to the start line, and after a brief by the team, you will all set off along Hadrian’s Cycleway, stopping around halfway for your overnight stay and completing the challenge on 13 October. The full itinerary can be found below. To sign up, please complete the application form and pay the £75 registration fee (per person). By signing up you are committing to raise the minimum fundraising target of £325 per person. Two nights comfortable accommodation (all either three or four star bed and breakfast accommodation) all close to places to eat and drink in the evening, providing great service, bike storage etc. Detailed route information including places to visit, stop to eat etc. If you’d like to take part but don’t have a co-pilot don’t worry! We will pair you up with someone for the challenge. Day one – You travel to Tynemouth/Newcastle. Meet everyone taking part, and a stay in bed and breakfast accommodation. This is where the challenge will be ending, so that anyone who drives up will be able to leave their cars at the end of the challenge, ready to go home once the challenge is complete. Day two – Everyone travels over to Bowness on Solway. Cycle from Bowness to Haltwhistle, distance approx. 44 miles with around 850 metres of climbing. The support team would meet you at the start point and make sure you were all set for the journey ahead. They will give a briefing and make any plans to meet the riders during the day. This is a great day of cycling to get you started and the route follows the coast, passing many miles of interesting coastline, designated an Area of Outstanding Natural Beauty and famed for its abundant bird life. You pick up the start of Hadrian’s Wall at Bowness on Solway and follow it through historic Carlisle with its fantastic Castle, Museum and Cathedral. As you head east along scenic country roads you’ll find Roman forts, turrets and abbeys, not to mention very straight roads, in abundance. You’ll reach the ‘Centre of Britain’ and stay the night in the lovely town of Haltwhistle. Day three – Cycle from Haltwhistle to Tynemouth, distance approx. 56 miles with around 850 metres of climbing. If you have the time there are loads of places to stop and take in the Roman history today and it is well worth a visit to some of the fantastic remains of the wall or the museums en-route. Vindolanda, Housesteads and Chesters forts are high up on people’s agenda’s. Once you meet the river Tyne at Hexham it’s pretty flat (just about) all the way to the coast and the cycling is mainly on well surfaced cycle paths as you cut a cross section through Newcastle. Following the river Tyne right to the end of Hadrian’s Wall at the fort of Segedunum then on to the North Sea where you’ll reach your destination at Tynemouth Priory in good time to celebrate your fantastic achievement. Then you can pick up your cars and head home straight away. Well done! There is a minimum fundraising target of £325 per person, and a £75 registration fee when you book your place. Part of this will go towards the costs of the challenge, with the rest coming to the charity. Part of your fundraising will be used to pay for the costs of the event such as the accommodation and the vehicle backup. The rest will come direct to the charity to go towards funding cutting-edge medical research, or our support services. What’s included in the event? Included in the event is two days of fantastic cycling, two night’s bed and breakfast accommodation, vehicle backup, detailed map of the route and GPS files if needed, baggage transfers throughout, and transport to the start of the trip after your first nights accommodation. Will you provide a tandem bike? We are unable to provide the tandem bikes, however there are many places you can hire them from around the country. Charlotte’s Tandems will rent out tandem bikes for free to people with a disability and have bikes around the UK. Where can I hire a tandem bike? Yes, absolutely. Although we are pitching the event as a tandem cycle, if you’d prefer to ride solo you can. What if I can’t find a partner to ride with? Don’t worry! We expect there to be a number of people who sign up wanting a partner. If this is the case we will pair you up with someone else. There is no age limit! Under 16s will need to be accompanied by a parent or guardian. Please note that the cycle challenge is a strenuous activity and the decision to take part should not be taken lightly. If you are not a regular cyclist you should seek professional advice about your fitness and training requirements. What happens if I sign up but then can’t take part? If you withdraw from the event you must notify Retina UK at the earliest opportunity. If this occurs you agree to pay any costs incurred by the charity. Your deposit will not be refunded and any money raised will be retained as a donation. Cycling 100 miles over two days is quite a challenge, but definitely achievable with some training. We will be sending out training tips from Paralympic Cyclist Steve Bate in the lead up to the event. If you are not a regular cyclist you should seek professional advice about your fitness and training requirements. Will I need to share a room with someone else? Yes, the bed and breakfast accommodation will be in double or twin rooms.